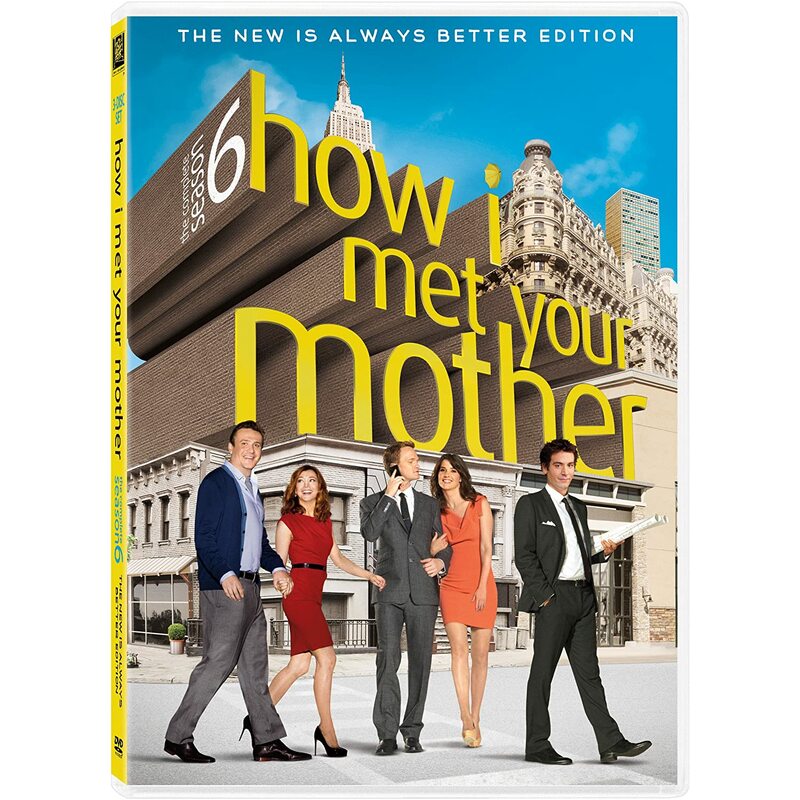 Quick Take: How I Met Your Mother, "Baby Talk"
Review: How I Met Your Mother, "Baby Talk"
(S0606) Take one Barney sexual challenge, add a crazy date of the week for Ted, mix in a scoop of playful relationship discord between Marshall and Lily and a dash of insecurity for Robin, and you’ve got yourself the recipe for a standard How I Met Your Mother episode. That’s basically what happened Monday night, but sometimes formula is okay when it’s done well. Robin has a new co-anchor, Becky, and since her morning news show apparently has no journalistic standards, Becky is allowed to get away with an innocent little girl act on air, complete with the pouty baby voice and homemade gummy bear cookies. Robin hates her, but Ted naturally finds her charming and they begin a shallow courtship. He likes that she makes him feel needed. This has two main consequences. First, Barney creates and accepts a challenge to sleep with a girl by talking like a little boy. He fails in a series of not-very-funny attempts, until the end when he has accepted his defeat but stumbles into a “Who’s your mommy?” hook up. I really think the days of being able to laugh at Barney using various schemes to approach girls at a bar have passed. It’s just run its course, and I was disappointed when they halted his character development with Robin last season. Luckily it looks like they are planting seeds to revisit that relationship and humanize him again. Speaking of, the second consequence of Ted liking Becky is Robin realizing that due to her independent, aggressive nature, she doesn’t tend to make guys feel “needed” in her relationship. This bothers her, and she approaches Ted and Barney to discuss it. Ted is in full-on douche mode, so he gives her a montage of memories when he felt emasculated. Barney, on the other hand, agrees that she didn’t make him feel needed, but instead notes that “That’s what makes you awesome.” Aww. Put them back together! Meanwhile, Marshall and Lily are having squabbles about the desired gender and name of their yet-to-be-conceived child. Marshall wants a boy, afraid of all the poor choices she could make (including sleeping with an eerily plasticized Future-Barney). Lily wants a girl, and she especially doesn’t want a boy with the name of one of her rotten kindergarten students (insert montage of kids flinging paint and eating goldfish). They both try some bizarre conception techniques (eating pickled herrings, dunking your testicles in a bowl of ice, and facing north will get you a boy!) before ultimately agreeing that they don’t care what the gender or name is, as long as they have a healthy and happy baby. This is similar to a couple weeks ago, when they eventually agreed that they didn’t care how quickly they got pregnant and would just enjoy the process. Perhaps next week they’ll debate breast-feeding versus formula milk, and ultimately decide they’re just happy their baby has opportunities for food. I like that the show is exploring the process of a young couple trying to have a baby, but I hope we don’t see this same formula every week. Lily’s first suggested baby name: Tara. Nice shout out to Buffy fans. “Our DVR won’t recognize it as a television program” – Marshall, when defending why he and Lily never watch Robin’s show. I hope she gets a career move soon. The inherent creepiness of “Who’s your daddy?” as a phrase of sexual triumph is humorously discussed. It kind of is uncomfortable to think about that statements origins..
Marshall’s parents make an appearance via Skype. They’re funny in small doses, which is what we got tonight. Thoughts? Have you dated any Beckys in your life?